There is a clear need for HR teams to move away from generic “employee programs” towards crafting “employee experience”. For instance, Airbnb recently re-branded the Chief HR Officer function as Chief Employee Experience Officer, recognising that “experience” is the essence of a workplace, especially among millennials. To enhance the employee experience, HR teams are starting to focus on better understanding their employees. Design Thinking helps them do this. 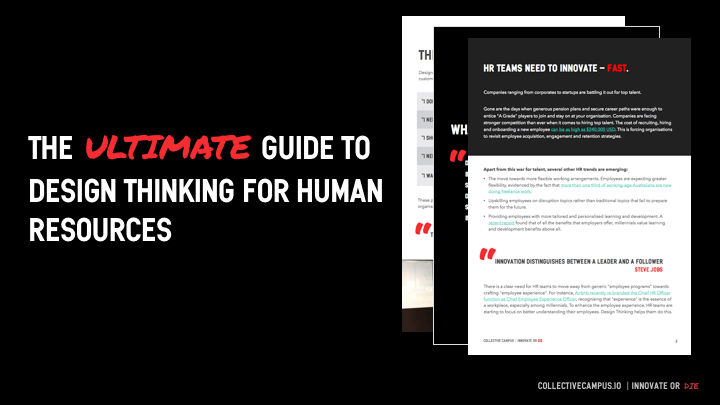 This eBook provides insight into how Design Thinking can be used to promote culture change and enhance the employee experience.